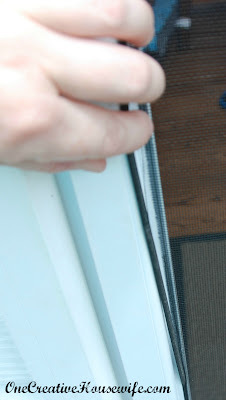 I can't tell you the number of times my son tries to open the screen door on our sliding doors by pushing on the screen. Eventually it took its toll and it popped out from the frame. For whatever reason that attracted his attention even more. 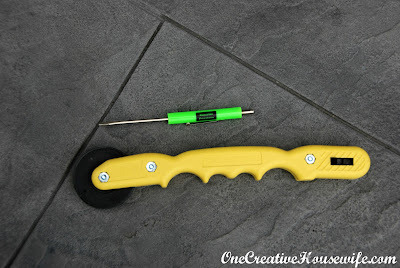 This is a super simple fix that anyone can do, and it only requires 2 tools; a small flat head screw driver, and a Screening Tool* that you can pick up at any hardware store. 1. Using a small flat head screwdriver, you need to pop out the screen spline (the skinny rubber part) from the frame. 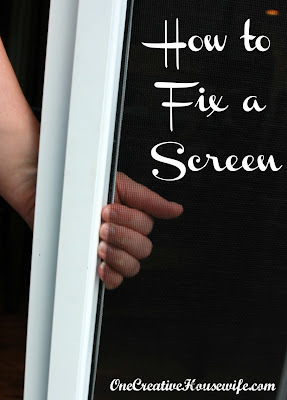 You only need to do this where your screen popped out, not the entire length of the screen. Be careful not to rip the spline. 2. Line up the screen under the spline and over the spline groove. 3. 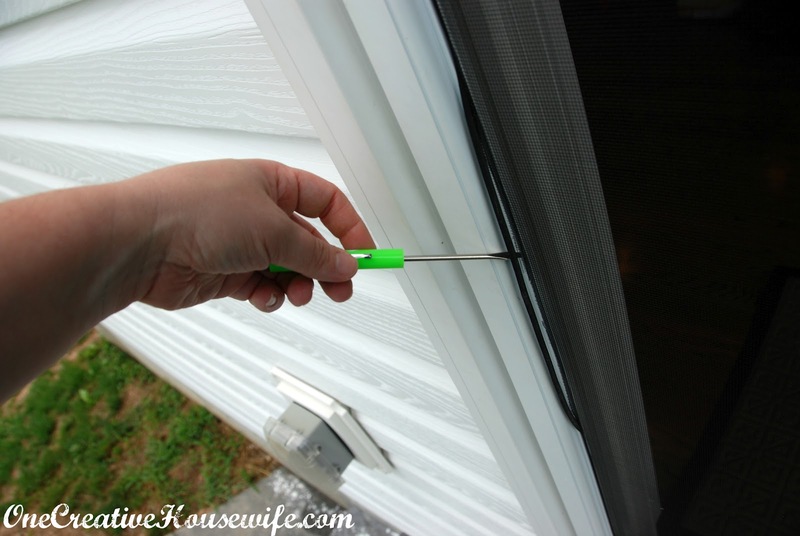 Take your Screening Tool* and using the grooved edge press the screen and spline back into the groove. 4. For 66,943,527th time, tell your son not to push on the screen. 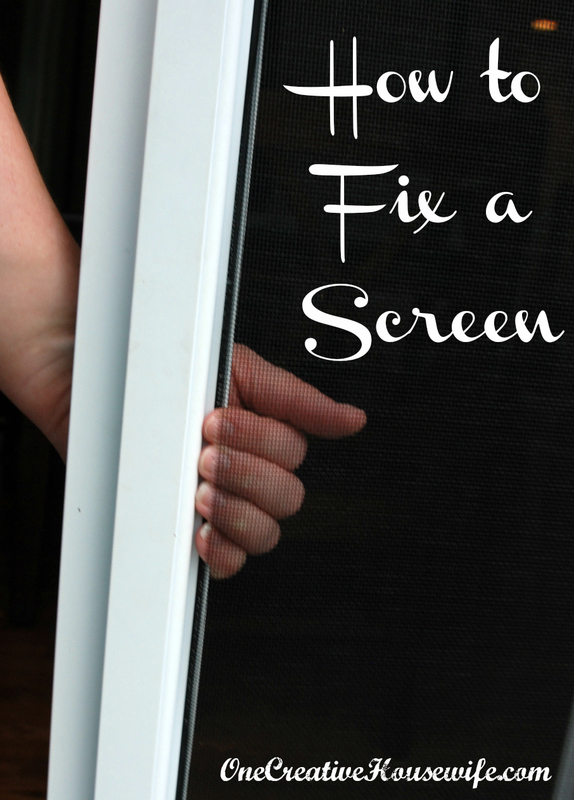 Now your screen repair is complete, until the next time your child pops it out.